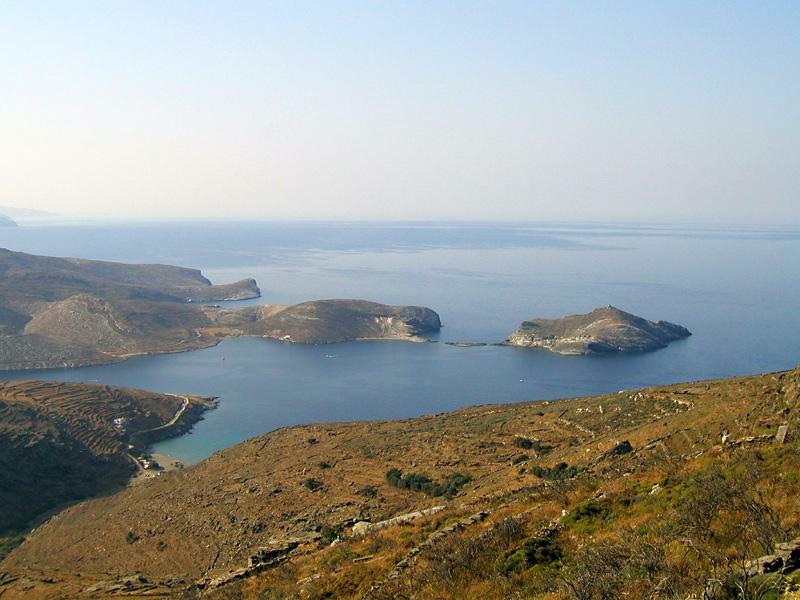 The island of Tinos - located near Andros in the Northwest of the Cyclades - is undeservedly not a popular destination for the typical cruises in the Cyclades. Yet, arguably it has a lot to offer even when compared to its more famous neighbours Myconos and Dilos. This quiet peaceful island is a feast for travellers, with long pristine beaches and romantic ports & villages. The two major harbours are Tinos & Panormos ports and the wonderful surroundings of the island are decorated with ubiquitous windmills on terraced hills used for farming. Yet, these venues offer perhaps too little night-life to be suitable for the general Cyclades cruises [sic]. The most luxurious ships for Cyclades cruises are the superyachts and larger poweryacht (megayachts) that frequent these waters. These shiny modern yachts allow you to sail well beyond the Cyclades in one week, adding the Peloponnese and Dodecanese to your itinerary. Naturally these are fully crewed with professional hostesses, cook, deckhands etc. A far more romantic cruise can be enjoyed on a motor sailer gulet, which are also known as gullets, goulettes, caiques, g�lets or motorsailers. Likewise, these traditional wooden vessels are fully crewed charters, with a expert staff. A local guide or diving instructor can join you on your motorsailer cruise in the Cyclades. The wooden romantic atmosphere of these graceful ships makes them ideal for honeymoons and family cruises. The third option for Cyclades cruises is the bareboat charter that has two major advantages: ultimate freedom & privacy, and a lot cheaper than the two crewed charter alternatives mentioned earlier. At least one of your party will act as a skipper or captain. Typical and available yachts are (monohulls) Jeanneau Sun Odyssey, Beneteau Oceanis, GibSea, Dufour, Bavaria, Ocean Star or (multihulls) Antigua 37, Belize 43, Lagoon 380, Lagoon 410, Lagoon 440, Tobago 35, Athena 38, Nautitech 395 by Dufour, Nautitech 475 by Dufour, Venezia 42 and the Bahia 46. The bareboat monohulls range in 27 to 56 feet. Larger yachts can only be rent with a skipper. The different variations in Cyclades cruises are explained in more detail in my Yacht Charter Guide.
.: Back to cruises in the Cyclades: Tinos island:.